This is a perfect choice if you are in need of a heavy duty push button! 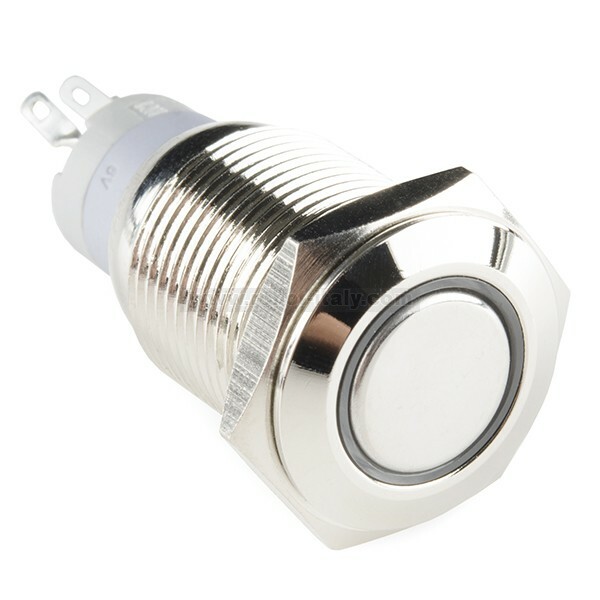 These metal push buttons are a very tough, small, panel-mount momentary switch with an illuminated white LED ring. It is a SPDT with 16mm threading and 1mm pitch. This button is perfect for basic On/Off functions. Overall length (including leads) is 1.5" and has small solder lugs for connection. 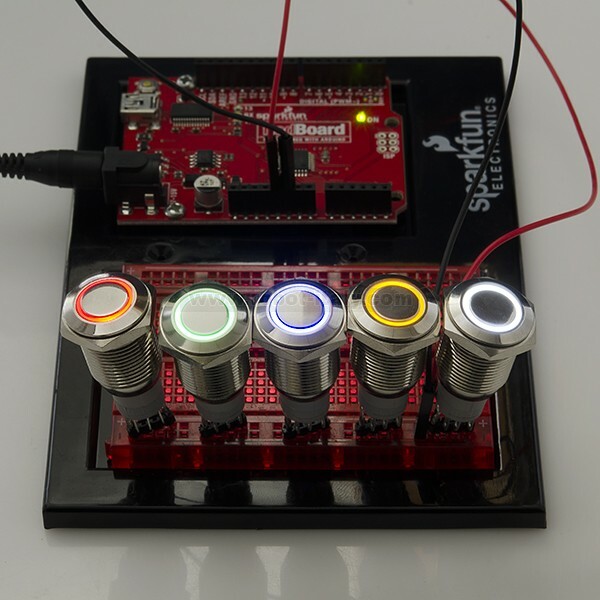 These momentary buttons are rated up to 3A and 250VAC while the LED is rated for 5V.